Greetings, Arsians! The Dealmaster is back this weekend with another round of deals to share. This time, we’re putting our focus on back to school sales; yes, the little Arsians are heading back to campus in the coming weeks (if they haven’t left already), which means it’s time for the annual rush of students and parents looking to find the proper gear. Because he only wants the best for you and your kids, the Dealmaster has scoured the Web and rounded up a few highlights from these sales below, all of which could be handy to a returning student. We’ve emphasized good laptop sales, but the deals also cover video games, headphones, media streamers, and storage solutions. Have a look for yourself below. Dell XPS 13 (9360) – Intel Core i5-8250U, 13.3″ 1080p, 8GB RAM, 128GB SSD for $862.39 w/ code: SAVE12 at Dell ( 256GB SSD for $948.63 ) (list price $999.99). Google Pixelbook – Intel Core i5-7Y57, 12.3″ 2400×1600, 8GB RAM, 128GB SSD for $749.99 at Walmart (list price $999.99). Asus Zenbook UX331UA – Intel Core i5-8250U, 13.3″ 1080p, 8GB RAM, 256GB SSD for $749.99 w/ code: 50SAVEZEN at Amazon (list price $799.99). Amazon Echo Dot (3-Pack) for $74.97 w/ code: DOT3PACK at Amazon (list price $149.97). Bose QuietComfort 35 (Series II) Bluetooth Noise-Cancelling Headphones for $299 at Walmart or Amazon (list price $349). Beats Solo3 Bluetooth On-Ear Headphones for $149.99 at Walmart (list price $299.95). The Legend of Zelda: Breath of the Wild (Switch) for $44.99 at Walmart (list price $59.99). Super Mario Odyssey (Switch) for $44.99 at Walmart (list price $59.99). Roku Streaming Stick+ 4K Media Streamer for $54 at Amazon (list price $69.99). Acer Chromebook 15 – Intel Celeron N3350, 15.6″ 1920×1080, 4GB RAM, 32GB eMMC for $249 at Target (list price $349.99). Acer Chromebook 14 – Intel Celeron N3160, 14″ 1920×1080, 32GB eMMC for $219 at Walmart (list price $299). Dell XPS 13 (9370) – Intel Core i5-8250U, 13.3″ 1080p, 8GB RAM, 256GB SSD for $1,034.87 w/ code: SAVE12 at Dell (list price $1,199.99). 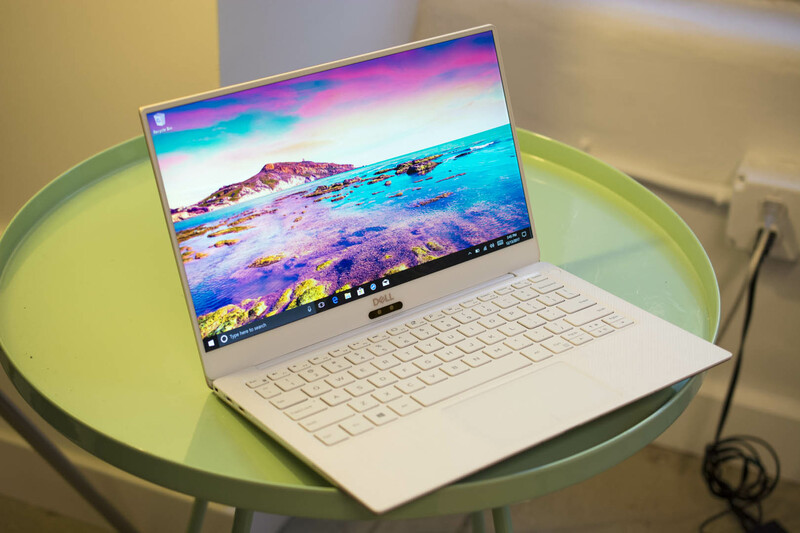 Dell XPS 15 – Intel Core i7-8750H, 15.6″ 1080p, 16GB RAM, 256GB SSD, GTX 1050 Ti for $1,293.59 w/code: SAVE12 at Dell (list price $1,499.99). Dell G3 15 – Intel Core i7-8750H, 15.6″ 1080p, 8GB RAM, 256GB SSD, GTX 1050 Ti for $819.27 w/code: SAVE12 at Dell (list price $949.99). Free Jaybird Run Wireless Earphones with various laptops at Dell. Dell Inspiron Desktop – Intel Core i3-8100, 8GB RAM, 1TB HDD for $388.07 w/code: SAVE12 at Dell (list price $499.99). Enlarge / HP’s Spectre x360 15 convertible. HP Spectre x360 13t – Intel Core i5-8250U, 13.3″ 1080p, 8GB RAM, 256GB SSD for $949.99 at HP (list price $1,149.99). HP Spectre x360 15t – Intel Core i7-8550U, 15.6″ 3840×2160, 8GB RAM, 256GB SSD, GeForce MX150 for $1,169.99 at HP (list price $1,369.99). HP Spectre 13t – Intel Core i5-8250U, 13.3″ 1080p, 8GB RAM, 256GB SSD for $1,099.99 at HP (list price $1,299.99). Lenovo Ideapad 720s – Intel Core i7-8550U, 14″ 1080p, 8GB RAM, 256GB SSD for $839.99 at Lenovo (list price $1,069.99). 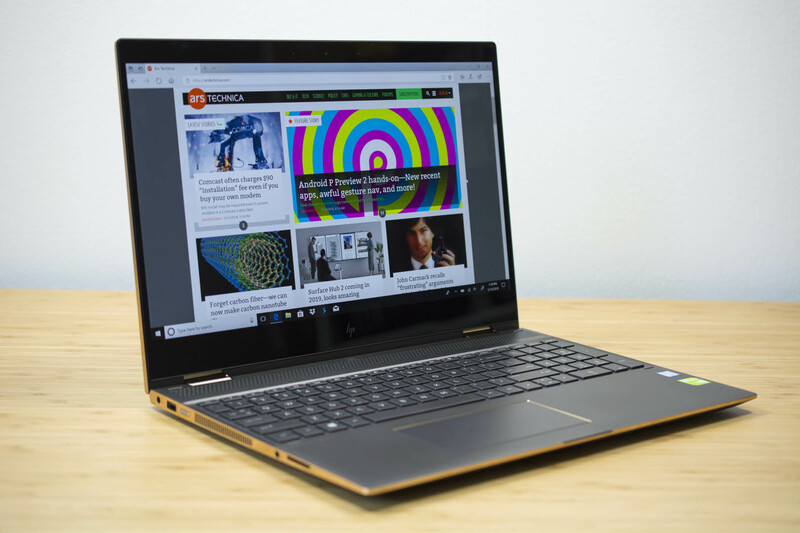 Lenovo Yoga 920 – Intel Core i5-8250U, 13.9″ 1080p, 8GB RAM, 256GB SSD for $1,049.99 at Lenovo (list price $1,329.99). Lenovo ThinkPad X1 Yoga (3rd Gen) – Intel Core i5-8250U, 14″ 1080p, 8GB RAM, 256GB SSD for $1,253.25 at Lenovo (list price $1,671). Lenovo Ideapad 330S – Intel Core i7-8550U, 15.6″ 1366×768, 1TB HDD, 4GB RAM + 16GB Optane Memory for $499.99 at Walmart ( Core i5 for $379 ) (list price $699.99). Microsoft Surface Laptop – Intel Core i5-7200U, 13.5″ 2256×1504, 8GB RAM, 128GB SSD for $799 at Microsoft (list price $999). Microsoft Surface Book 2 – Intel Core i5-7300U, 13.5″ 3000×2000, 8GB RAM, 256GB SSD for $1,299 at Microsoft (list price $1,499). Apple iPad 9.7″ (2017) (128GB) for $349 at Walmart (list price $429). Apple iPad Pro 10.5″ (64GB) for $597 at Walmart (list price $649). Apple Watch Series 3 (38mm) for $279 at Best Buy (list price $329). Apple Back to School Promo : Students, parents of higher education students, and education staff get free pair of Beats Solo3 Wireless, Beats Powerbeats3 Wireless, or BeatsX with purchase of new Mac or iPad Pro. Razer Blade Stealth – Intel Core i7-8550U, 13.3″ 3200×1800, 16GB RAM, 256GB SSD for $1,399.99 at Razer (list price $1,499.99). AMD Ryzen 7 1700 8-Core Desktop Processor for $174.99 w/ code: EMCPXEV34 at Newegg (list price $219.99). 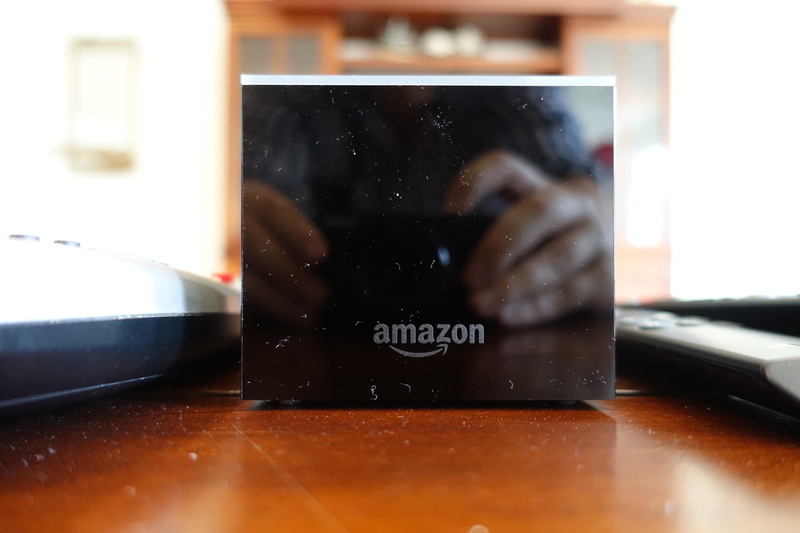 Enlarge / Amazon’s Fire TV Cube. Amazon Fire TV 4K Media Streamer for $39.99 at Amazon (list price $69.99). Amazon Fire TV Cube 4K Media Streamer for $89.99 at Amazon (list price $119.99). Amazon Echo Dot for $39.99 at Amazon (list price $49.99). Amazon Echo for $84.99 at Amazon (2-Pack for $139.98 ) (list price $99.99). Amazon Echo Plus + Philips Hue White Bulb for $99.99 at Amazon (list price $164.98). Amazon Echo Show for $129.99 at Amazon (list price $229.99). Amazon Kindle Voyage (Refurb) for $129.99 at Amazon (list price $169.99). Bose QuietControl 30 Bluetooth Noise-Cancelling Earphones for $249 at Walmart or Amazon (list price $299). Anker Soundcore Spirit X Bluetooth Earphones for $32.98 at Amazon (list price $39.99). Mario Kart 8 Deluxe (Switch) for $44.99 at Amazon (list price $59.99). Mario Tennis Aces (Switch) for $44.99 at Amazon (list price $59.99). Xbox Live Gold Membership (3-Month) for $24.99 + 3 Free Months at Amazon. Sony PlayStation VR Doom VFR Bundle for $224.99 at Best Buy (list price $229.99). Attack of the Blockbusters Sale – Various PS4 games on sale at PlayStation Store. Nvidia Shield TV (16GB) 4K Media Streamer for $139.99 at Best Buy (list price $179.99). Oculus Rift + Touch VR Headset for $349 at Best Buy (list price $399). Logitech MX Anywhere 2 Bluetooth Mouse for $29.99 at Best Buy (list price $49.99). Samsung 860 Evo (500GB) 2.5″ SATA Internal SSD for $107.99 at Amazon (list price $134.99). Samsung 960 Evo (250 GB) M.2 Internal SSD for $99.99 at Amazon (list price $129.99). Samsung T5 (500GB) Portable SSD for $127.99 at Amazon (list price $164.99). Samsung Evo Select (128GB) MicroSD Card for $34.99 at Amazon (list price $41.99).